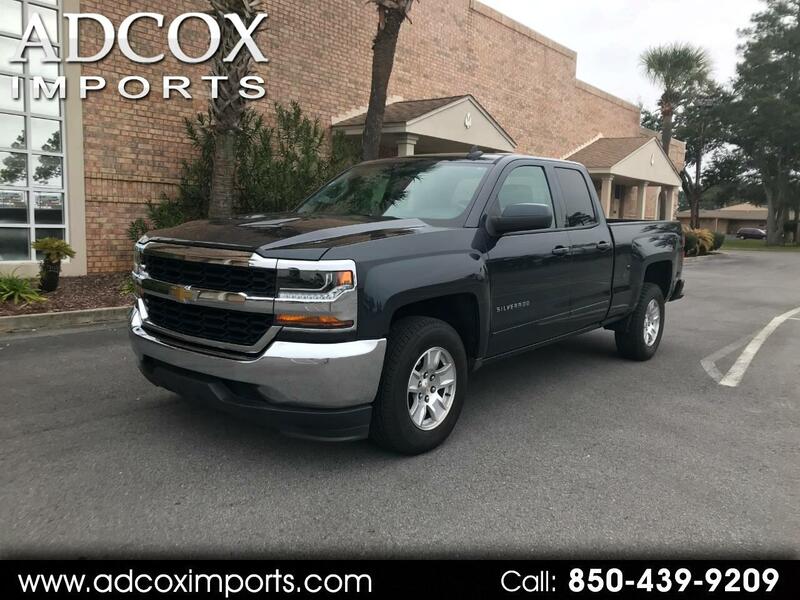 This 2018 Chevrolet Silverado 1500 4dr 2WD Double Cab 143.5 LT and features a 5.3L 8 CYLINDER 8cyl Flex Fuel engine. It is equipped with a 8 Speed Automatic transmission. The vehicle is GRAY with a Black interior - Air Conditioning, Tinted Windows, Power Steering,Power Windows, Power Mirrors, Leather Steering Wheel, Clock, Tachometer,Driver Airbag, Passenger Airbag, Side Airbags, ABS Brakes, Traction Control, Dynamic Stability, AM/FM,CD Player, Aux. Audio Input, Carpeted Floor Mats, Center Arm Rest,HID Headlamps, Locking Tailgate,OnStar, Reverse Camera,Roll Stability Control, Side Curtain Airbags, Split Front Bench,Tire Pressure Monitor, Vanity Mirrors and More..